If you are in the market for a new e-reader, or an upgraded version of your favorite one, manufacturers have some good news. Three of the biggest makers of e-readers, Apple, Amazon, and Kobo, have recently released significantly upgraded versions of some of the most popular models ever made. They also timed it so that the new gadgets will be flying off the shelves during the holiday shopping season. Anyone shopping for an e-reader, especially a more top-of-the-line model, will want to check out these three newbies. The super-popular Kindle Paperwhite just got the biggest redesign in its decade-long history. Now it’s more portable than ever, with twice as much storage memory and longer battery life. The device, priced at $129.99, weighs a mere six ounces with a glare-free 6-inch screen and stronger battery. The paper has a very realistic and elegant look, almost like fine parchment. That visual aesthetic with e-ink and e-paper has always been a big feature of Kindle Paperwhite devices. But now they have another feature that competes directly with Kobo’s best products and was previously only found on Kindle’s high-priced Oasis. The newest Paperwhite is fully waterproof. It’s not just water resistant, but actually meets the strict IPX8 rating for protection against being submerged in about five feet of water, for as long as 60 minutes. Apple’s iPad products started off small and limited in functionality when they were first created. They weren’t powerful enough to replace laptops, but were a bit too costly to compete with most tablets. That has all changed with the new Apple iPad Pro, which is the ultimate dream machine in terms of iPad products. Although it is pricey, starting at about $800 for the smaller version, it is a high-value device that’s worth every penny to someone who like iPad’s features and versatility. The iPad Pro will easily replace many laptops and tablets, while fulfilling their roles and going far beyond. Instead of investing in an exclusive e-reader device which is carried separately, many people prefer to own just one gadget that does it all. For those consumers, the iPad Pro can perform as an easily portable computerized device that does almost everything. In fact, there are more than a million apps that can run on the iPad Pro. But with available storage of up to 1 TB, just imagine how many e-books you can store on the device. The iPad Pro is available in an 11-inch or 12.9-inch version, with a blazing fast processor. But it fits into a sleek package weighing under a pound, and is the thinnest iPad ever made. Just as Amazon introduced its waterproof Kindle Paperwhite to compete with Kobo, Kobo rolled-out another new waterproof e-reader, the Kobo Forma. Priced at $279.99, it is now the flagship model for Kobo. In fact, most experts consider it a direct competitor with Kindle’s top-of-the-line Oasis e-reader. But the Kobo Forma is actually larger than the Oasis, and it has the same type of asymmetrical architecture that gives it a thicker spine. Kobo claims that it is more durable than the Oasis, too, because the Forma utilizes lighter, more flexible plastic instead of metal and glass. The Kobo Forma weighs less than seven ounces and boasts an 8-inch, 1,920-by-1,440 screen, 8 GB of storage, and is capable of improved PDF format support in landscape or portrait views. The device also has new page-turn buttons that can be accessed whether you are right-handed or left-handed. 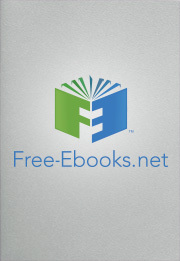 The Free-Ebooks.net website tracks all the new versions of e-readers and writes helpful summaries of them, and then includes them in the regularly updated E-Reader Buyer’s Guide. It’s free to use, and is a very handy way to learn about all the major e-readers from Kindle, Kobo, Apple, and Nook. You can read overviews of both new and older versions of e-readers, including full technical specs as well as the significant pros and cons of each model. Check it out before you go shopping for an e-reader, because it may save you lots of time and give you some valuable consumer insights.